If you're forced to dress nice but really want to represent your favorite superhero, then you're in luck! 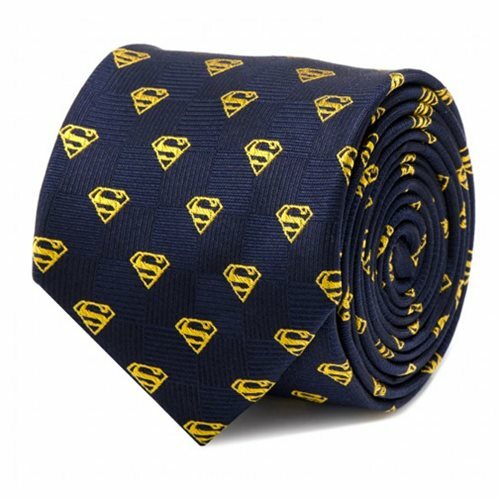 This Superman Shield Navy Italian Silk Tie is the perfect thing to wear if you love Superman and you love looking snazzy. Dark blue Italian silk tie has the yellow Superman "S" symbol as a repeating pattern, and measures 59-inches long x 3-inches wide. Ages 13 and up.